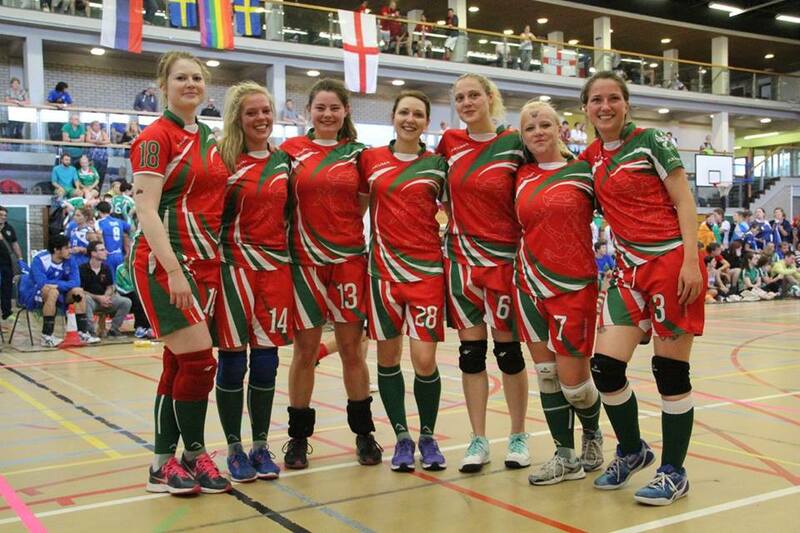 Photo of the new Women’s European Dodgeball Champions, Wales Dragons – International Dodgeball Team. They defeated England Lions Ladies in a thrilling Overtime victory at the semi-final stage, thanks to a brilliant catch with just 2 seconds remaining from Laura Pickering and they then put on a near perfect performance against the women from Italy Red Frogs – International Dodgeball Team to win the Final, 8-2. The Welsh win over England was the first time the Lions Ladies have lost a match since August 2012. This is a great victory over the team who had won the previous 4 Euros. Wales Dragons Women are the new Number One in European Dodgeball. 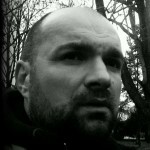 С Katie Warwick, Rhiannon Hickinbottom, Megan White, Laura Pickering, Karen Pickering, Harry Bignellи Kelly Marie в Queen’s PEC. Male and female teams above qualify for the Dodgeball World Cup 2016. 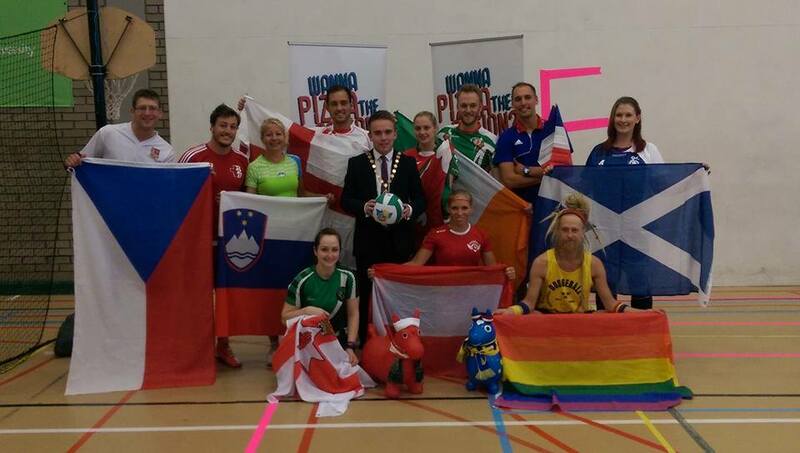 Team members representing each country with the debuty Lord Mayor of Belfast. 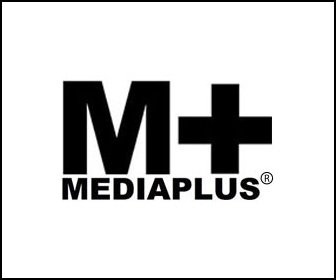 Matthew Josiah, Karen Pickering, Nicola Studeny, David Dyke, Vincent Renaud, Antwone Swedberg и Dawn Roberts.